In 1992, Ester Vinyeta initiated professional career as lecturer and researcher on crop production and food science at Polytechnic School at Universitat de Vic (Barcelona, Spain). During this phase she worked closely with pig sector to reduce nitrogen load from pig manure among other topics. 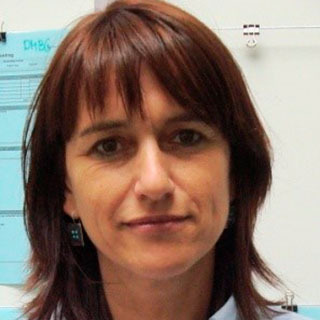 From there, in 2002 she moved to industrial sector and joined Esporc S.A. (Spain) and Grup Baucells S.A., as responsible of nutrition and technical director of the feed mill operations. During this period she coordinated research projects in collaboration with universities and research institutes (UB, UAB, IRTA) on feed technology, animal production and meat quality. Later, in 2009, she moved to The Netherlands and joined Schothorst Feed Research as senior researcher and consultant focusing on swine and also collaborating with poultry team. She performed research focusing on nutritional requirements of piglets and growing-finishing pigs, feedstuff evaluation, meat production and quality, feed technology and additives efficacy. She also consulted feed companies mainly in Europe and Asia. In 2011, she joined Bühler AG as Animal Nutrition Manager in, she worked on innovation projects focused on the impact of feed processing and animal performance and health. She also gave trainings offered by the Swiss Feed Technology Institute (SFT). Since March 1st, 2014, she joined Delacon Biotechnik GmbH as Species Leader Swine.